With high-precision imaging, the food processing and beverage industry tests even hard-to-inspect products with absolute reliability. The result: 100% quality and ever-growing productivity. The need to manufacture products reliably, and without faults is more important than ever in the food, beverage and packaging industries. The pressure to achieve this has led to extremely high levels of manufacturing automation in efficient production plants. The growth of machine vision in the food and beverage industry helps with that automation. The level of automation and the efficiency of production processes in the food industry has increased continuously over the years. What has been practiced in the automotive segment for years is now being applied to the production of foods. More than in any other industry, and because of health implications, the products must be manufactured free of faults, must be traceable and sustainable. Against this background, vision technology is finding new uses in the food industry as a technical high performance and economical method for automated optical inspection. Food and beverage producers face continuous pressure to verify product quality, ensure safe and accurate packaging, and deliver consumables that are completely traceable through the supply chain. Machine vision has been helping the industry achieve these goals for the better part of two decades. But as government regulations tighten and consumers demand more transparency about the contents of their sustenance, adoption of vision and imaging systems in food inspection is on the rise. Ensuring food looks good is critical for premium brand foods. Vision-based quality control can ensure distribution of pizza or bun toppings, color of baked products and analyzing the cell structure for breads. Maximize quality of bulk produce such as rice by removing contaminants while grading potatoes, fruit and meats ensures premium pricing for the best. Vision, working in conjunction with robotics, allows consistent packaging even where multiple products are mixed in any orientation and can ensure the best cut is always on top. With supermarkets issuing fines for incorrectly labelled or printed products, end of line packaging and label verification can have fast return on investment. With a move towards self-service, machine vision technology can assist in reducing fraud and easing the shoppers experience. Product recognition on weigh scales ensure the correct product is priced. Even though the U.S. Food Safety Modernization Act (FSMA) took effect in 2011, some food processors and packagers are still finalizing solutions to meet the law’s product tracking and tracing requirements. 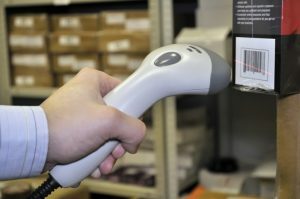 According to Billy Evers, Global Account Manager for the food and beverage industry at Cognex, “FSMA has forced the food industry to have better recording and reporting systems of their processes, so more food and beverage manufactures are using 2D barcode reading to track and serialize data”. Universe Optics is dedicated to ensuring that the precision lens required in your particular design is engineered and manufactured to make the automation of your processes reliable and accurate.